Let Me Off The Diabetes Roller Coaster! The Diabetes Roller Coaster. 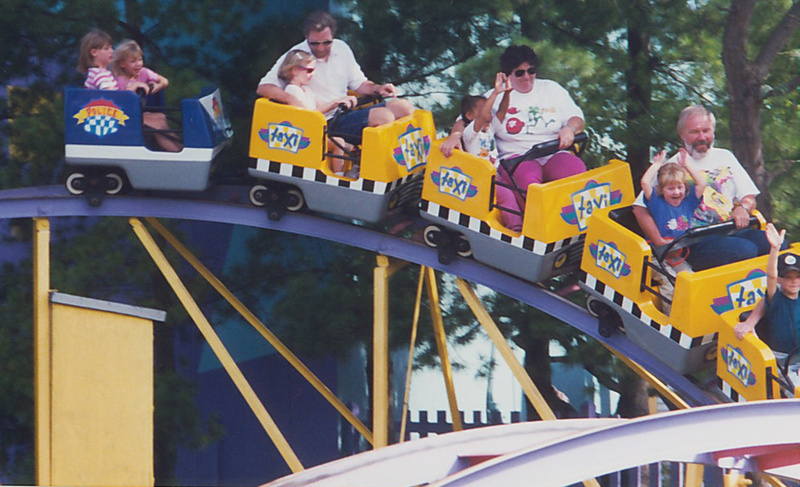 It is an exhausting, frustrating ride that is not fun at all. There are 2 ways to experience this ride: 1) have low blood sugar, eat, and skyrocket into high blood sugar or 2) have high blood sugar, take insulin, and plummet to low blood sugar. All of this happens usually within a few hours. Just like a regular roller coaster, it makes me want to scream! Hint: I’m the only girl who has both hands on the bar in a death grip and that is probably what my dad is looking down at. Obviously, I’m not a big fan of any type of roller coaster! I had an unwanted ride on the Diabetes Roller Coaster earlier this week. 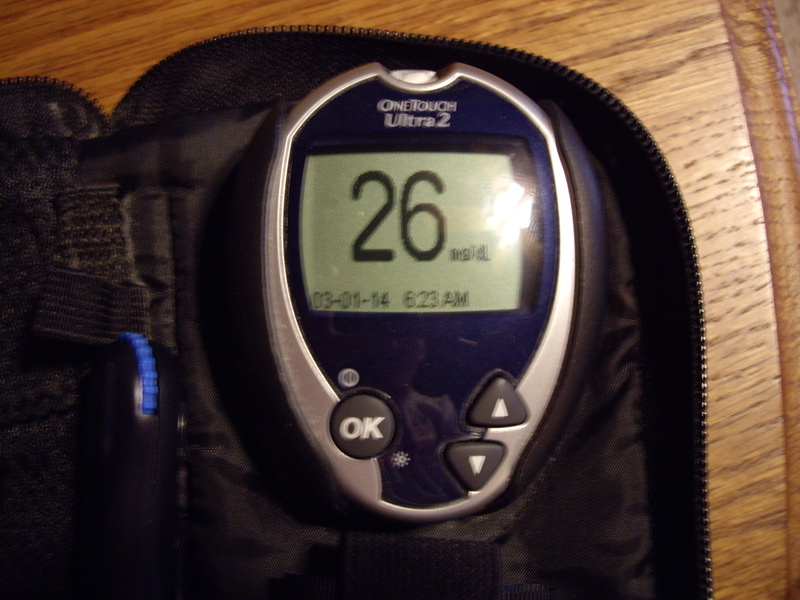 I had relatively normal blood sugars during the day, but when I tested before bed, I was 328. So much for going to bed! I took some insulin and stayed up an extra hour to make sure my blood sugar was going down. And did it go down! About 4 hours after I took the insulin, I dropped to 49. 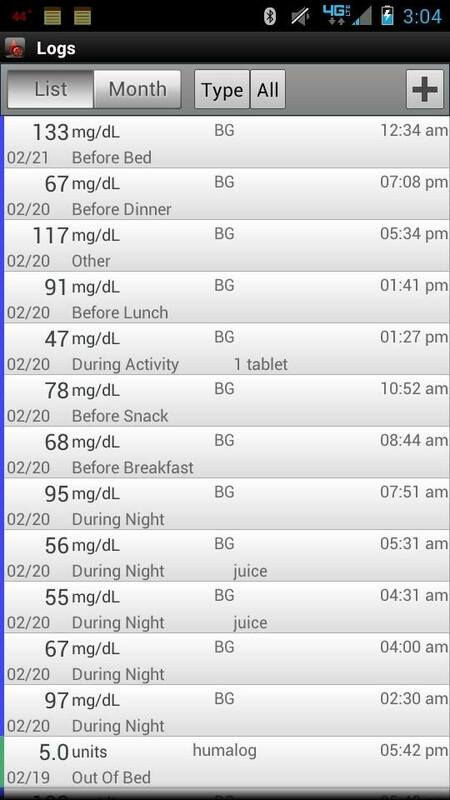 I then had to take juice, and luckily I woke up with normal blood sugar! It’s bad enough dealing with the symptoms of just high or low blood sugar. Going from one extreme blood sugar to the other takes a major toll on the body and is even more exhausting. The morning after the ride I didn’t want to get out of bed. I just wanted to sleep! It is very frustrating because a lot of times these crazy blood sugars occur for no obvious reason. It’s even more frustrating when I think I’m giving myself just enough insulin or food to bring my sugar in normal range, yet I get the opposite extreme blood sugar. I then feel like I’m not doing a good enough job. But in reality, I’m doing as well as I can. So many factors affect blood sugar, and the amount of insulin I give to lower my 300 level one time may be too much or too little the next time. I just hate that this unpredictability sets me up for a ride on the Diabetes Roller Coaster! Yesterday was one of THOSE days. A low hangover day. What do I mean by that? Well, it has nothing to do with alcohol, if that is what you’re thinking. To me, a low hangover is the after effects of a low blood sugar episode, or like yesterday, a prolonged period of time of having low blood sugar. Low blood sugar, also called hypoglycemia, is when the blood sugar is below 70 mg/dL. Yesterday was a full day of low blood sugar. It seemed nothing, not even eating a big, sugary cinnamon roll, helped increase my blood sugar and keep it above 70. Because of the constant lows, I felt exhausted, had a horrible headache, felt shaky, and was sensitive to light. Even with it being overcast I had to wear my sunglasses. Much of these feelings are the same as a hangover from alcohol, so I’ve heard. I’ve never, nor do I ever, wish to experience an alcohol hangover. The low hangovers are enough for me. I feel so frustrated when I have days like this. They make me feel like I have no control over how I feel. During these days, literally all I want to do is sleep. I don’t get much of anything done because I’m either sleeping or just too tired to concentrate. These are the days when diabetes greatly interferes with my daily life. Well, I guess technically it always interferes, but this time to a much larger extent. I have to cancel plans, miss class, stay in bed. That’s what I hate most, the loss of control and interference from diabetes. In the midst of all these feelings, I do feel lucky. I’m still here. I make it through these bad days, which fortunately don’t happen very frequently. I know of some people who take a week to recover from these days. Usually it only takes me a day or a couple hours of sleeping to feel better. I’m fortunate to be able to feel the symptoms of low blood sugar, be able to still function at that horrible low sugar of 47 (or my record low of 38), and not pass out. In the long run, these bad days make me stronger and allow me to appreciate the good days so much more.